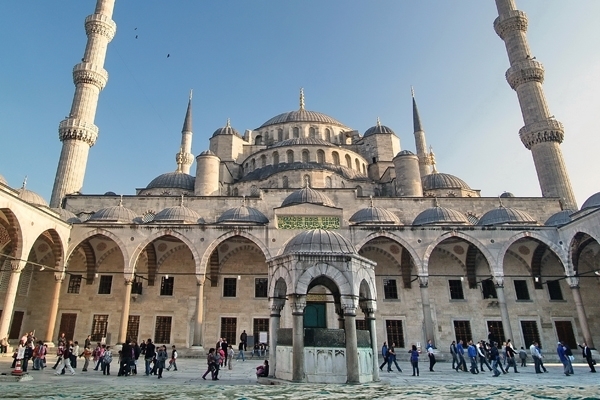 Istanbul will attract you with its history! A wonderful palace that was the home for the Ottoman Sultans for over 400 years. It is a complex of small colorful buildings where most of the important decisions about the Ottoman Empire were taken! A place that also housed many unbelievable stories and intriguesi mostly between the wifes of the Sultans. Consists of four main courtyards and the Harem. It was converted into a museum in 1924 and declared as a World Heritage by UNESCO in 1985. Thank you very much for your kind interest in our old city tour in Istanbul. One of our tour operator will be in touch with you. You are right. We have a special Deal with the Dersaadet Hotel and my tour operator will apply special price for you. Istanbul Airport Transfer What time should I leave my hotel to catch a flight in Sabiha airport? Ataturk Airport Transportation How to meet at Sabiha Airport How to get from Sabiha Gokcen Airport to the city? How to get from Ataturk airport to the city? Is there any additional charge for my airport transfer service? Istanbul Airport Shuttle Sabiha Gokcen Airport-Lost and Found How to get from cruise ports to the city?